Handmade jewellery inspired by nature. Product: Handmade jewellery and smudge supplies. 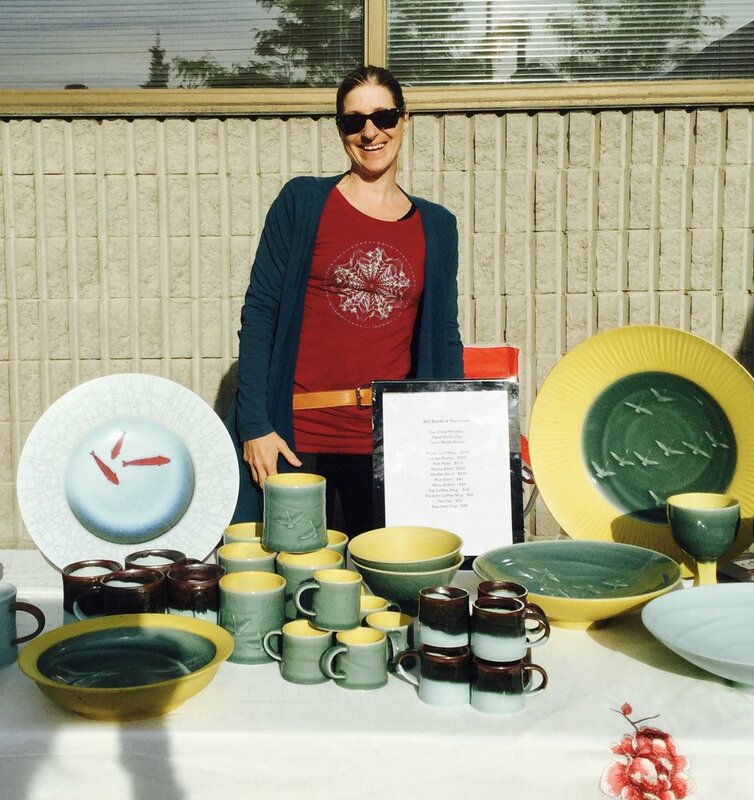 I began selling my Hot/Cold Pillows at the Peterborough Farmers Market at Morrow Park four years ago. As a Former Social Worker "and a sewer" a friend asked me to make a Weighted Blanket for their special needs child. With a lot of research I then began making Weighted Blankets. From there through 'word of mouth' and social media (we now ship right across Canada) and showing our products at a host of craft shows as well as organizing "Cottage Country Craft Shows" in the area things took on a life of their own and ... well ... here we are with "Nancy Sews" . Product: I sell Weighted Blankets and Lap Pad as well as Flax Seed Warming Pillows of various sizes. I have some Essential Oils (my blends), Aroma Candles and Aromatherapy Shower Pucks. All Products are made by me. Potter Bill Reddick creates hand thrown Porcelain that is both functional and beautiful. Bill made Canada's Official State Dinnerware for Rideau Hall, and settings for the Canadian Embassy in Tokyo. Bill welcomes visitors to his Studio and Gallery at 926 High Street. 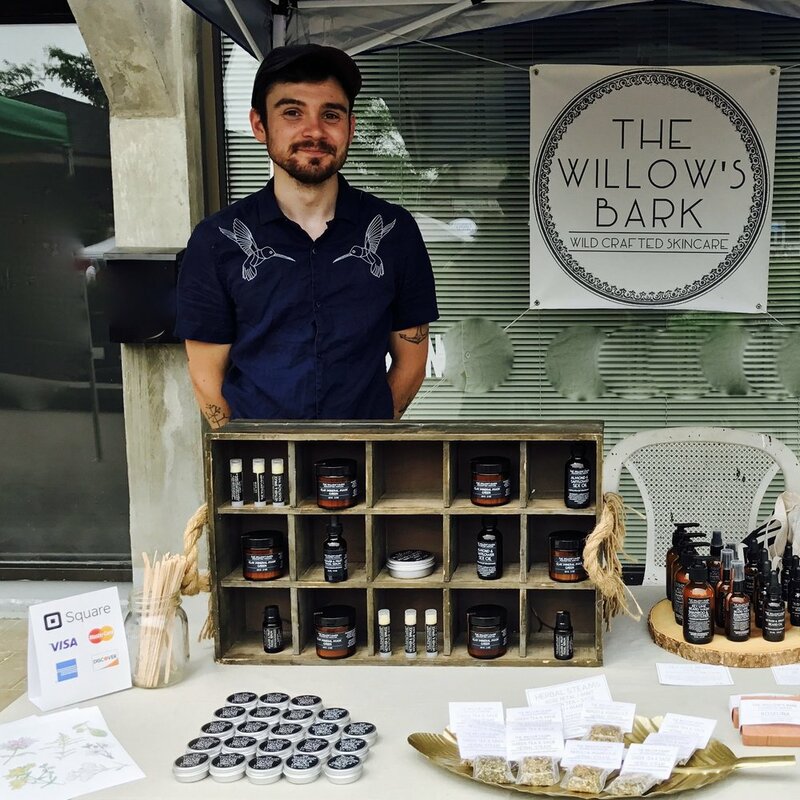 The Willow's Bark is a wildcrafted and organic skincare and herbal remedies company focused on clean beauty, sustainability, and an awareness of what grows within our local habitat.